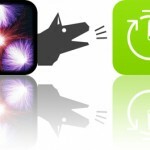 Play a hand of cribbage, calculate track and field scores, and visualize your tasks with today’s collection of apps and games. Frutorious ($0.99 → Free, 61.8 MB): Fling Mr. Fruts around colorful environments and save his friends in Frutorious. Fans of psychedelic platformers. Mr. and Mrs. Fruts were having a peaceful picnic when suddenly an evil skull appeared and turned all of their friends into fruits. It’s up to you to help Mr. Fruts and his best friend Frutorious F.I.G. save the day. You’re able to fling Mr. Fruts by dragging your finger to aim and releasing to fire. Gather all of the fruits and coins on your way up while avoiding the many obstacles. Frutorious is available for free for a limited time. It has a 5-star rating with a total of 11 ratings. Cuecard – Visual To-Do List, Tasks & Reminders ($2.99 → Free, 7.1 MB): Visualize your tasks with Cuecard. Those looking for a fast and easy way to recall tasks. Cribbage Premium – Online Card Game with Friends ($1.99 → Free, 87.0 MB): A digital version of Cribbage from the same team that brought you Hearts Tournament, Spite and Malice, and Gin Rummy. Those who want to play Cribbage anytime, anywhere. Cribbage Premium – Online Card Game with Friends is available for free for a limited time. It has a 4.5-star rating with a total of 12704 ratings. Track and Field Combined Events Calculator ($0.99 → Free, 18.8 MB): Calculate track and field scores with this handy reference tool. Parents, coaches, and athletes. Track and Field Combined Events Calculator will help you achieve your best. 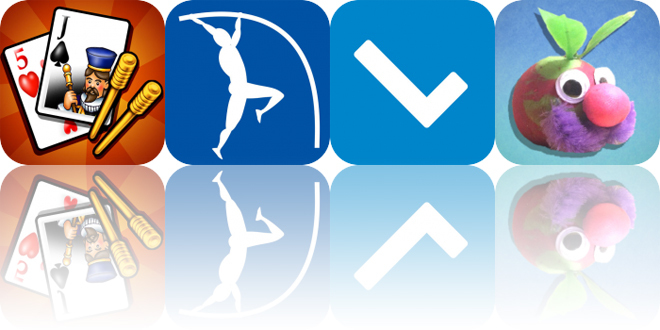 The app allows you to quickly calculate scores for indoor and outdoor decathlon, heptathlon, and pentathlon events. You’re also able to create goals, save track meets, view personal bests, and convert between Imperial and Metric units. If you’re in need of a little extra motivation, you can also check out the world records for each event. Track and Field Combined Events Calculator is available for free for a limited time. It has a 4.5-star rating with a total of 5 ratings.